FYI, this delicious cannerific post has been brought to you by Cans Get You Cooking as part of the Mom It Forward Blogger Network. At one time I fancied myself a cross between Martha Stewart and Betty Crocker. I did a lot of DIY projects, a little crafty, and cooked and baked frequently. I imagined I was a…. Super Mom. Don’t worry, it didn’t last long. Reality set in. Oh, I am Super Mom to my son and in my own mind, but in reality, I know that I’m far from it. But I’m okay with that. No woman is a super mom, in my humble opinion. You can’t give 100% to every aspect of your life. It’s just not possible. We can make people think we are though… if we’re smart. I love cooking, but don’t have the time to prepare and cook a made from scratch four course meal. Heck, I don’t have time to make a one-course meal. Or that’s the way it seems most days. By cans I mean can vegetables and fruits. My “cantry” (what I loving refer to my pantry as) is full of cans. Because ‘cans get you cooking’ Am I right? Well if it were not for canned foods, I would never cook at home, anymore. Canned foods are my lifesavers. The canned food sections of Kroger and Ingles (the two grocery stores I frequent most) are my best friends. really. Don’t get me wrong I love getting fresh fruits and veggies in the summer, thanks to my f-i-l, but we are on the go so much that fresh fruits and veggies end up going bad on me. 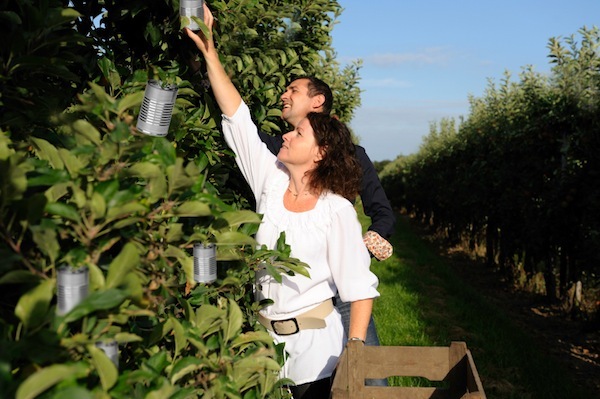 Did you know the can is one of the best ways to get food from the farm to your family’s table? 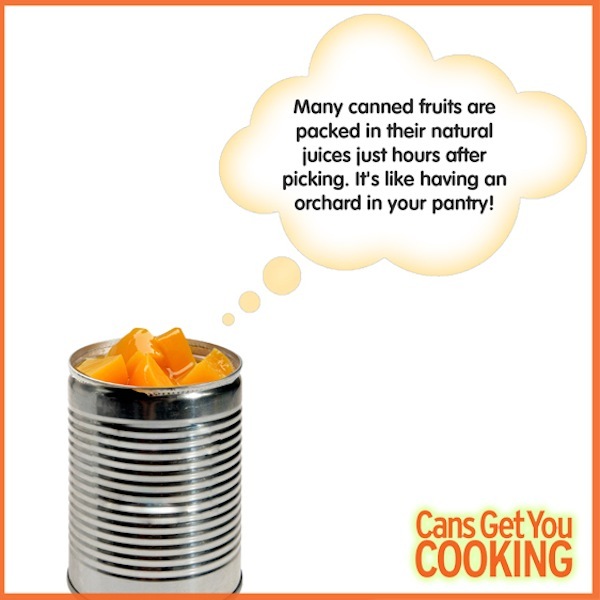 It really is… the canning process locks in foods’ freshness, nutrients and freshness, and delicious flavor when at the peak of ripeness, just hours after picking. It’s field to sealed! You can’t beat that. This means I can serve canned foods anytime with confidence. How else could I make pumpkin pie in June? I love pumpkin pie, but if I had to wait for fresh pumpkin to make it, well, I would only be able to bake a pumpkin pie in the fall. That don’t fly with me. 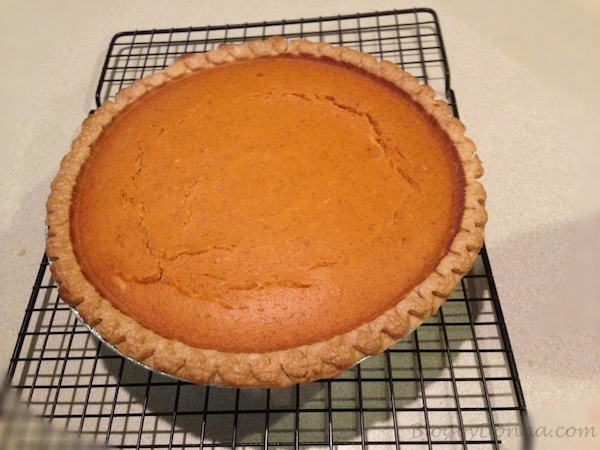 Because I keep my ‘cantry’ stocked with canned food, I can have a delicious pumpkin pie anytime I want. Which is exactly what I did last week. Yay, baby… pumpkin pie in June. Bake for 15 minutes and then turn oven down to 350 and continue baking for 40-50 more minutes or until knife inserted into center comes out clean. Besides pumpkin and evaporated milk, you will always find Del Monte Tomatoes and corn in my pantry. Canned tomatoes are a staple. And I eat Progresso soup for lunch several times a week. Honestly, I got tired of wasting food. Evidently I’m not alone, because 73% of Americans throw away spoiled fruits and vegetables on average two times a week. That’s a shame. Thanks to cans, we don’t have to let nature’s bounty go to waste. Do cans get you cooking? I’d love to hear what cans are in your pantry cantry? Disclosure: I received compensation for this post but all opinions are 100% my own and may differ from yours. I will only endorse companies, products and services that I believe, based on my own experiences, are worthy of endorsement. I’m proud to be a #cansgetyoucooking Canbassador! 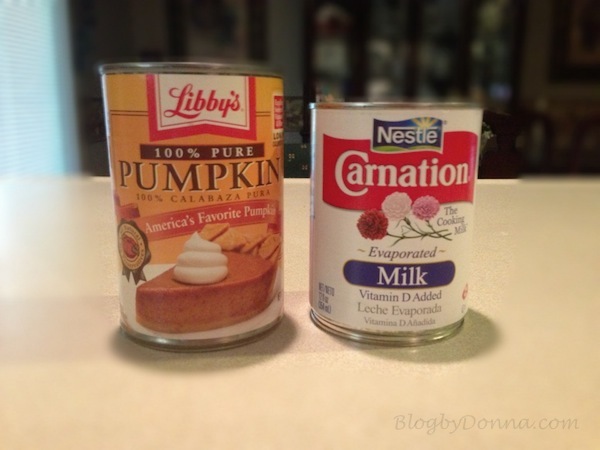 We love pumpkin pie but I have to ask, what are they lining the cans with? I have been cooking with cans a lot on this camping trip this summer. I love pumpkin pie anytime of year too! 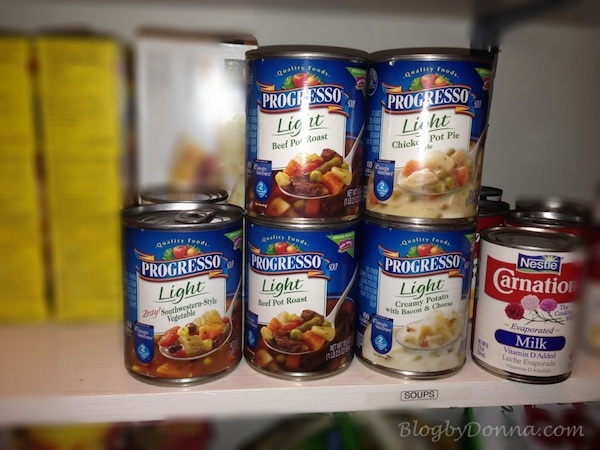 I love the progresso soups too! I always have veggies in cans and some cream of some such for casseroles. Oh, and tomatoes and tomato sauce always!!!!! Oh, beans too. Ok, I have tons of cans. We love pumpkin pie, too, and I always keep it in my pantry. Our vet even had us use it as a laxative for our puppy (yeah, tmi!) I do try to use fresh fruits and veggies as much as possible, but I always have some canned goods on hand. I love cooking with cans! Makes life easier and cheaper. Thanks for the recipe! Pinning to my dessert board. I buy a lot of soups but not vegetables in cans, those I prefer frozen. I wouldn’t be fighting you on the pumpkin pie in June 🙂 I love that stuff, it shouldn’t be reserved for November only! Pumpkin pie is my husbands favorite. I make it as his b-day cake. I like it because it’s so easy to make. Your pie came out amazing! You are so right. Cans do get you cooking. I started to make pumpkin pie myself because I found a can that had the recipe on it and it was quick and simply laid out right in front of me. You’re so right. Thanks for sharing. Yum, your pie looks awesome!